If you want to enjoy a great holiday with your kids and family, theme parks are the best venues for you to spend the day out. Durham has plenty of beautiful and amusing theme parks for you to provide entertainment, attractions, rides, and other events altogether in one place. The thrilling atmosphere in a crowded theme park is always worth watching. Theme parks offer a relatively new concept of attractions to the visitors and are considered a great outdoor leisure destination for all ages. 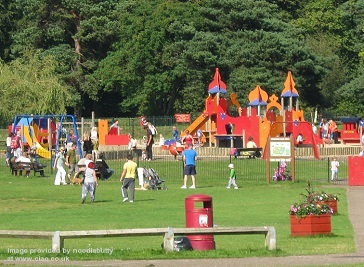 There are great places for children to play as well as for adults to enjoy the unique and interactive attractions. Theme parks attract large number of people and promote tourism. If you want to spend a great holiday with your kids the best place you can visit is a theme park. Based on one or more specific themes or story, the theme parks are also a great source to spread knowledge about these specific themes. People love to go there to spend a whole fun day and return with memorable moments for whole life. Durham has offered every entertainment to the tourists in form of great theme parks, landscapes, historical buildings and much more. Whether to arrange a corporate event or a school trip these theme parks are great venues. You will never regret a decision of visiting these places in Durham. Riverside Park is facilitated with ornamental gardens, an events arena, play area and a park centre with cafe. Play area, splash pad and fun spaces keep the children entertained. The garden area provides you with a quiet and peaceful experience to enjoy your holiday with your family. 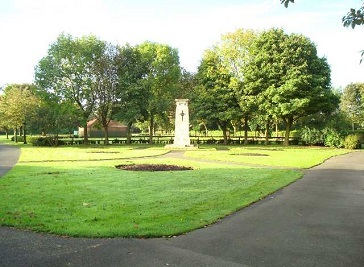 Annfield Plain Park is facilitated with bowls club, tennis courts, football pitch with changing rooms, children's play area, games area, sensory garden and picnic tables. Its a great place to come and enjoy a beautiful day with your family, kids and friends. 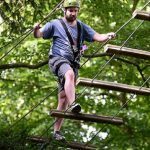 Beamish Wild Adventure Park is the home of adventure in the North East. They have a young and vibrant team which is truly passionate about the great outdoors and adventures. 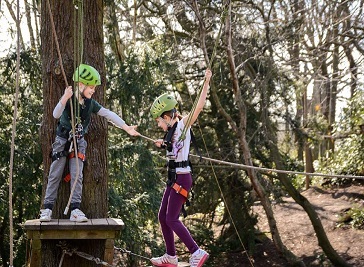 The High Ropes Course on the treetops of the ancient woodland is about 2 hours of non-stop fun and challenges.